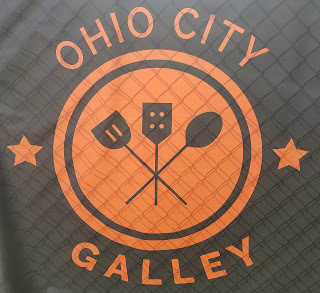 The Ohio City Galley opened up on October 26th. 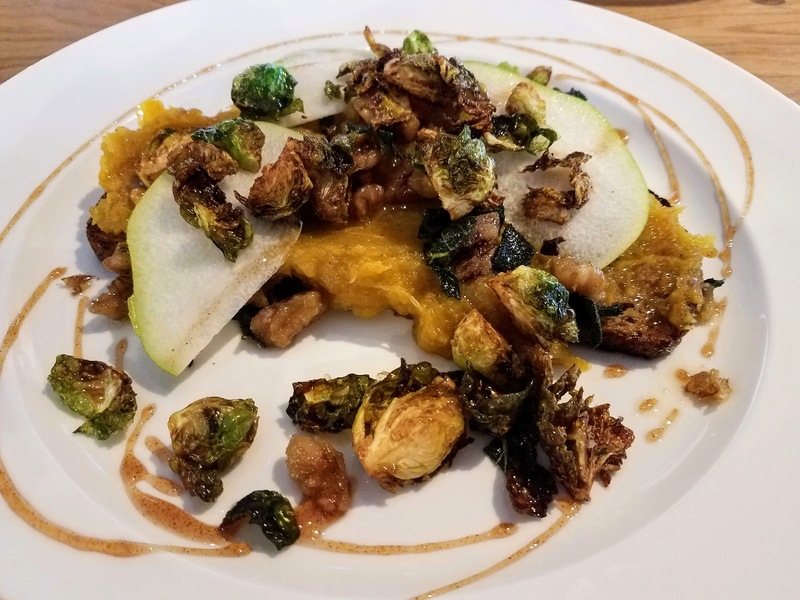 Nestled in the the historic Forest City Savings and Trust Building on the corner of West 25th and Detroit Ave in Cleveland's Ohio City neighborhood, the Ohio City Galley acts as a restaurant incubator for four different concepts. The inside of the building is industrial with exposed brick, long communal tables with hanging exposed light bulbs over each table. The Galley is divided into two spaces, a bar area where bartenders make craft cocktails and the restaurant space which looks like an upscale, fast-casual food court. Free parking across the street from The Ohio City Galley makes for easy access to the building. 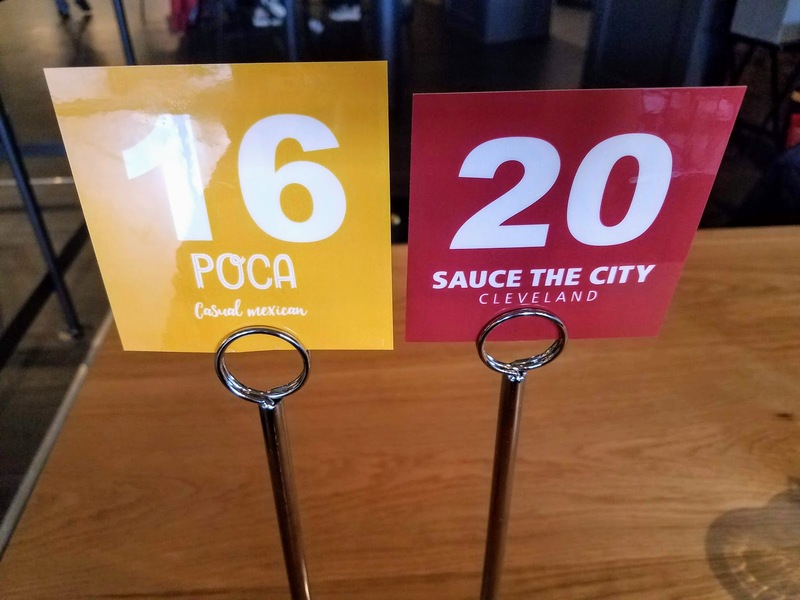 The four restaurants housed within the space are: The Rice Shop, Tinman, Sauce the City, and Poca. All restaurants serve brunch, lunch, and dinner with different menu items for each. The large open space makes it easy to see each menu and make decisions from the menu boards. 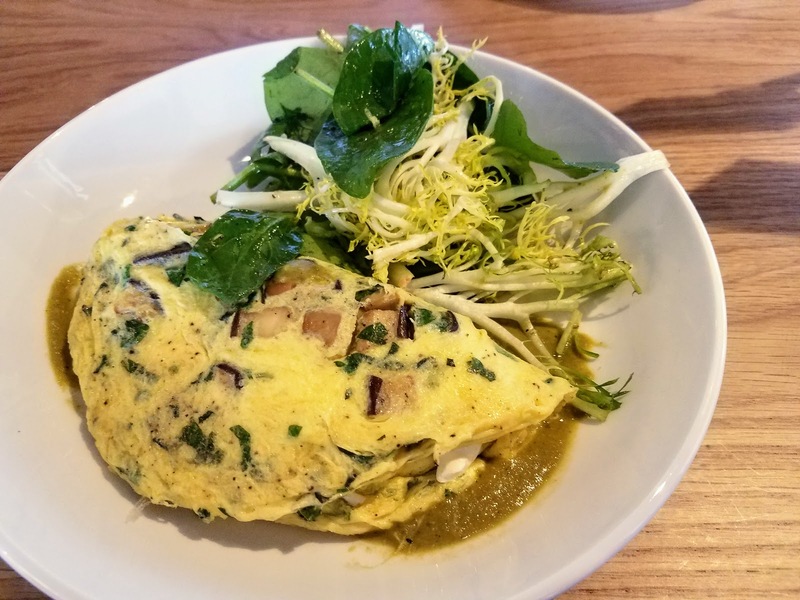 We went yesterday for brunch around noon and The Ohio City Galley was just as bustling when we left as when we walked in the door. The Rice Shop has a variety of rice bowls, curries, and poke on the menu. 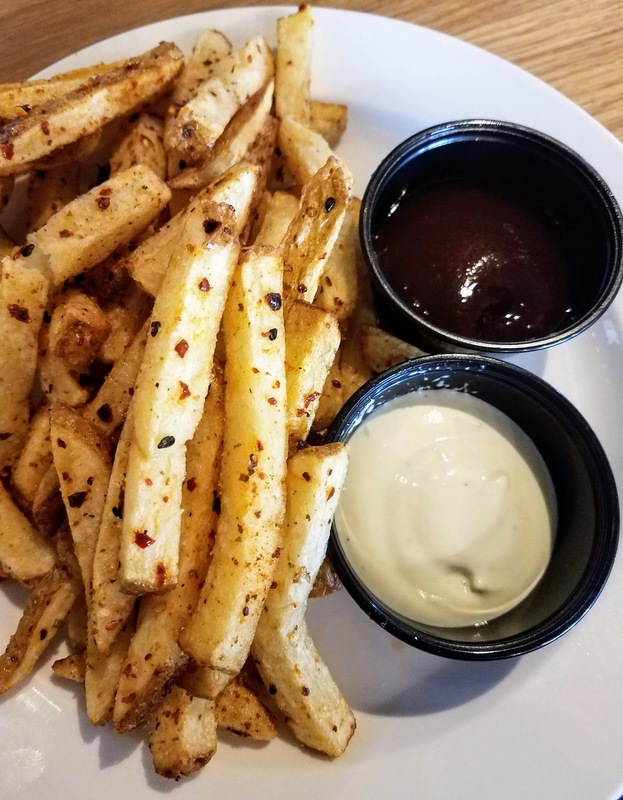 Tinman features burgers and shakes with a wide variety of vegan and vegetarian options on their brunch menu. Sauce the City has a variety of items from fried chicken to burgers including the owner's signature hot sauce. 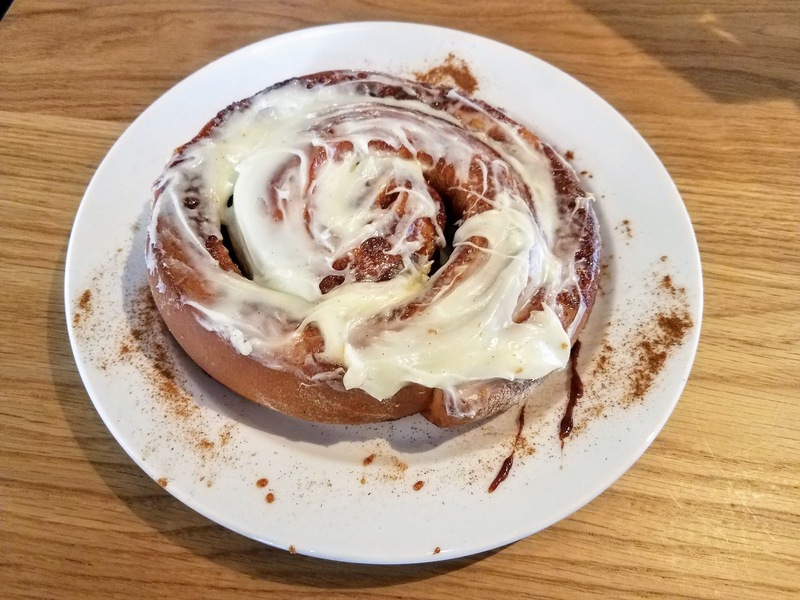 Poca is billed as a casual Mexican joint focusing on authentic recipes from Oaxacan cuisine. Because there were only four concepts and I didn't want to stick to just one, Dave and I ordered something from each restaurant. We thought each restaurant was reasonably priced and all four had a nice range of main and side dishes on the menu if you want to create a sampler like us. 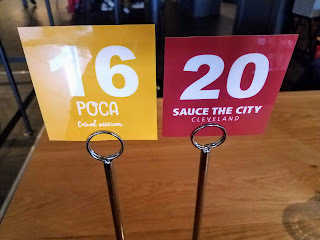 First up were our orders from Poca and Sauce the City. From Sauce the City, we ordered the Handmade Cinnamon Roll which was massive. 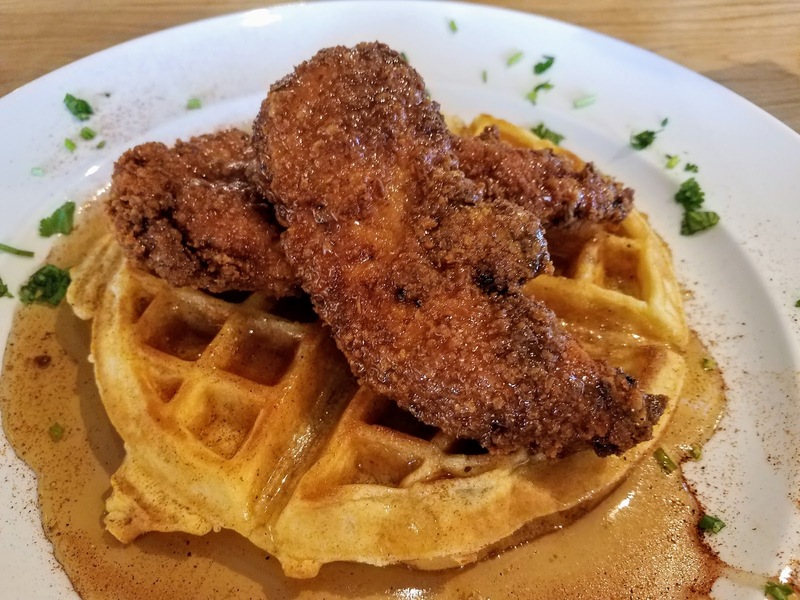 Owner Victor Searcy Jr. sent us over an order of Chicken and Waffles when I mentioned that I was writing a blog about their concept. The fried chicken had the Sauce the City Signature sauce on it atop a fluffy waffle and syrup. Since I'm a vegetarian, Dave more often than not eats vegetarian with me. 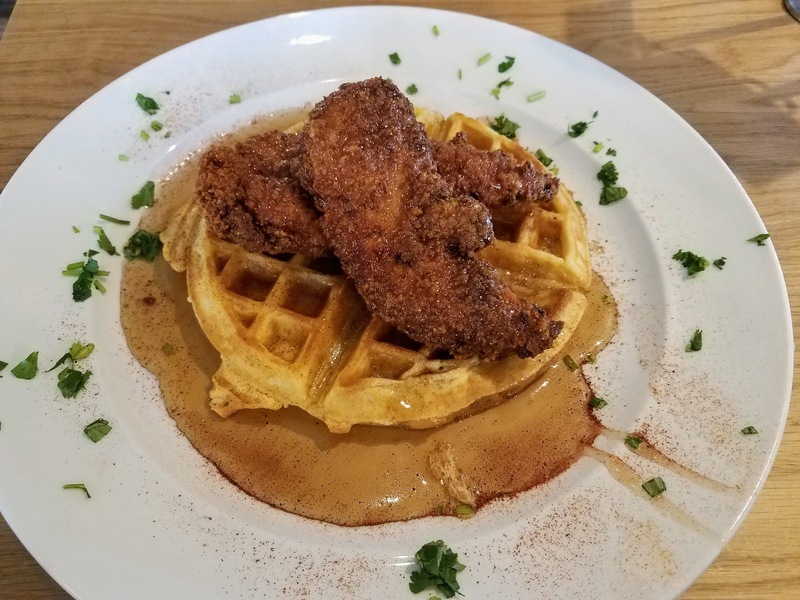 However, he was thrilled to come back from placing our orders at Poca and Rice Bowl and find the Chicken and Waffles on our table. 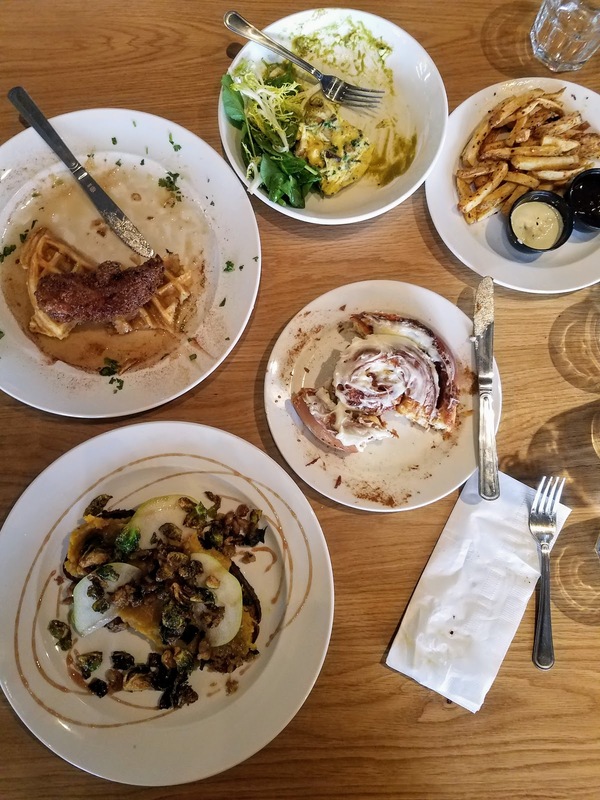 He very enthusiastically dug into Sauce the City's Chicken and Waffles dish. I should have taken more photos because this was Dave's first time having chicken and waffles, but overall, he declared that he liked the sauce on the chicken and the crispy batter. I'm looking forward to going back to try their portobello burger with the signature sauce! 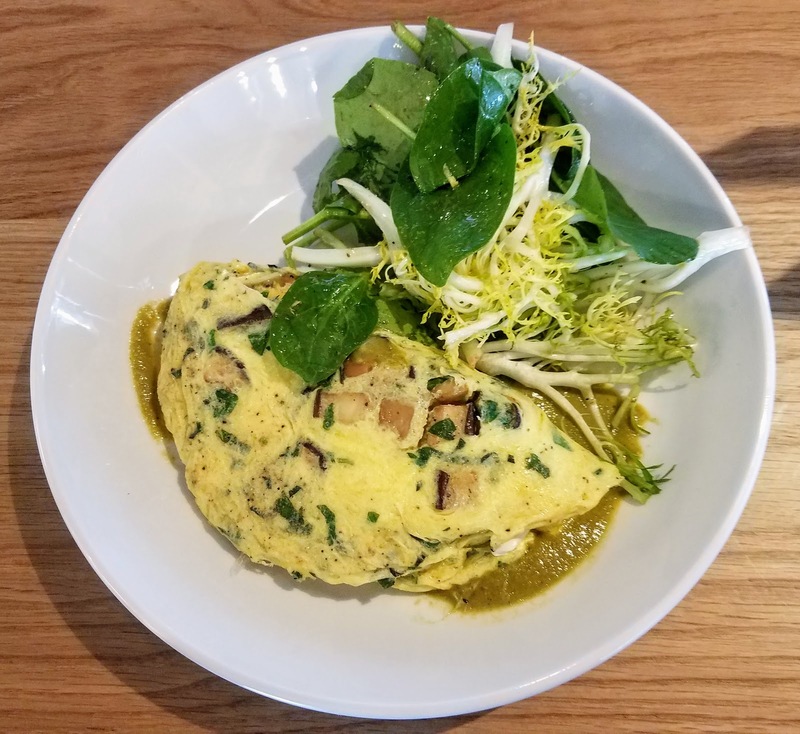 From Poca we selected the Roasted Mushroom Omelette which had queso oaxaca, green mole, and avocado. Dave and I were both surprised to see mole in a vegetarian dish, that wasn't something we had seen before. I thought the green mole paired well with the roasted mushrooms in the omelette. Both of us thought that it was a good sized portion. 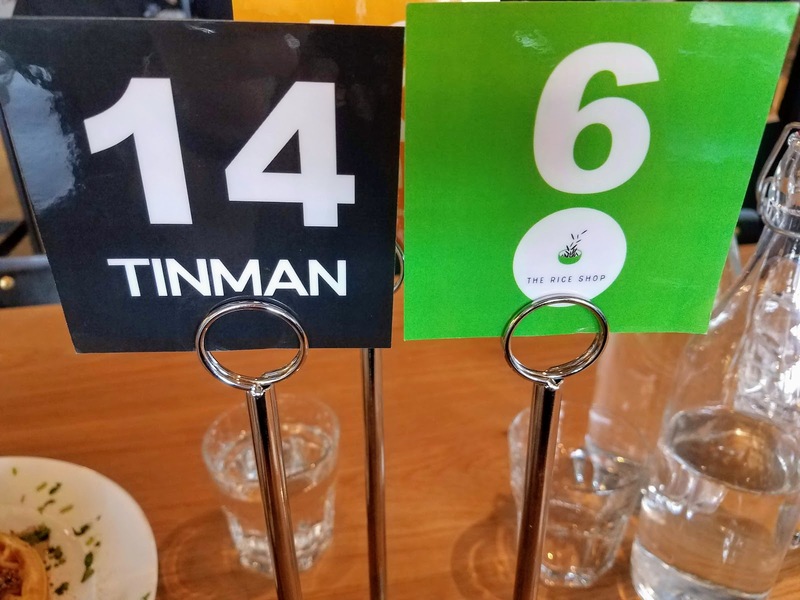 Next to arrive were our items from Tinman and The Rice Shop. From The Rice Shop we ordered Togarashi Fries with Wasabi Mayo and Hoisin Ketchup. 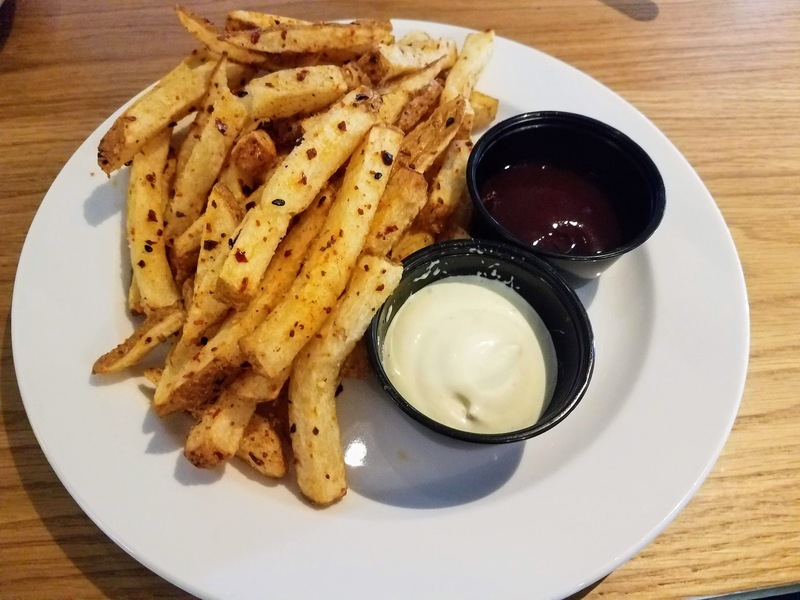 Dave and I both liked the Togarashi Fries, the Wasabi Mayo was my favorite but Dave enjoyed both sauces. From Tinman we ordered the Vegan Toast which was topped with crispy fried Brussels sprouts, walnuts, pear, sage, and butternut squash. 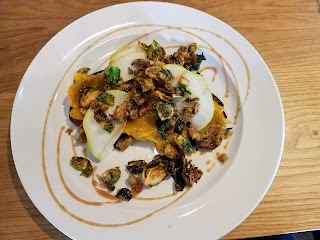 The fried Brussels sprouts on the toast were amazing and each composed bite was great. Dave liked that you could look at this item, tell more or less what went into it, and come away with a connection to the ingredients. 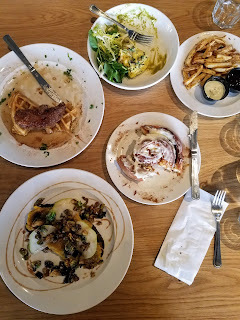 Maybe on our next visit we'll perfect the art of the blogger brunch photo but we were too excited to eat and couldn't wait for all of our food to arrive before starting. I also had a cocktail called Leo's Casino made with stone fruit vodka, raspberry liqueur, and sparkling wine. 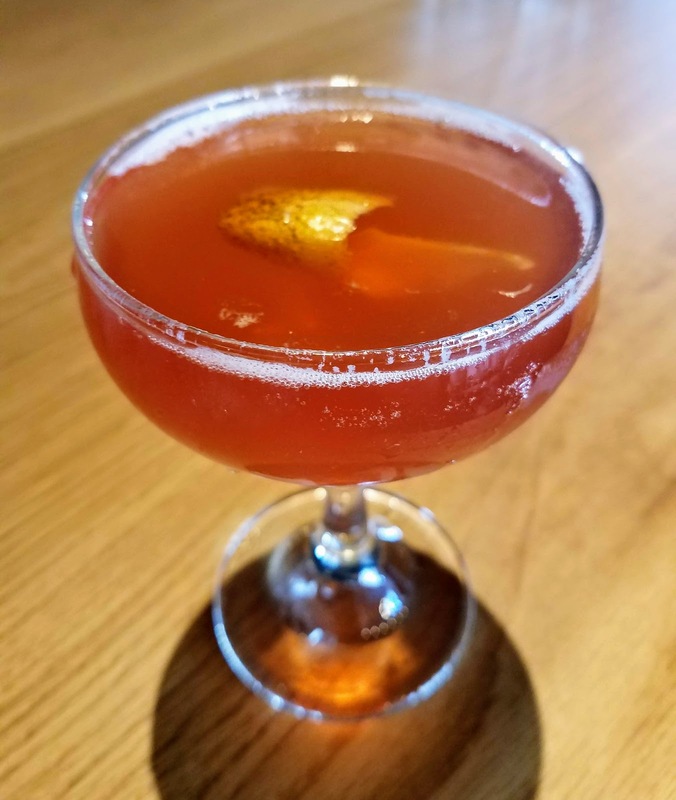 The drink paired nicely with brunch and I appreciated how light it was. After ordering a drink and food from all four restaurants we were out in a little under an hour and on our way to Playhouse Square for Les Miserables. On Saturday afternoon it took us less than fifteen minutes to move our car from Ohio City Galley and park again near Playhouse Square for our show. Overall, we were impressed with Ohio City Galley. The food was delicious, everyone from the restaurant owners to the staff were friendly, and the price points were appropriate for the items we ordered. 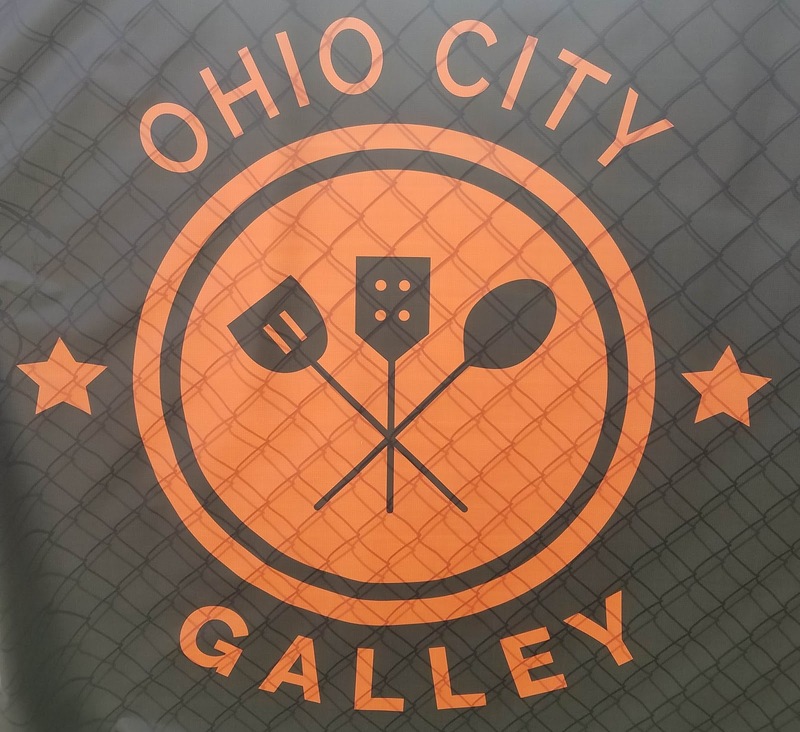 We have already recommended the Ohio City Galley to friends and appreciate the wide variety of options available. 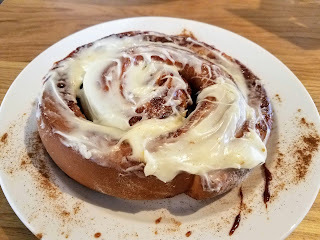 This would be the perfect place to take a large group of people, in our friends group we have one vegetarian, a pescatarian, and friends who don't eat pork -- Ohio City Galley would be an easy way to keep everyone with dietary restrictions happy while still allowing for a variety of tastes and interests.